AN EDUCATIONAL EXPERIENCE GEARED TOWARDS KINDERGARTEN THROUGH 5TH GRADES. 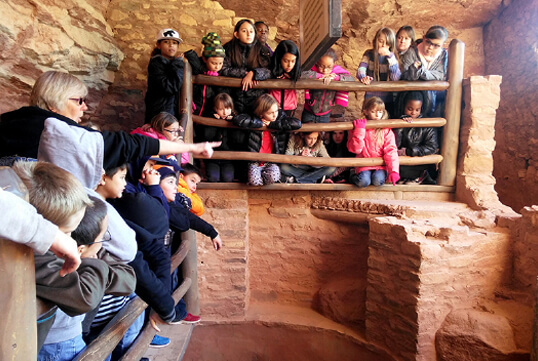 Students will experience an up close and personal look into the life of the Anasazi. 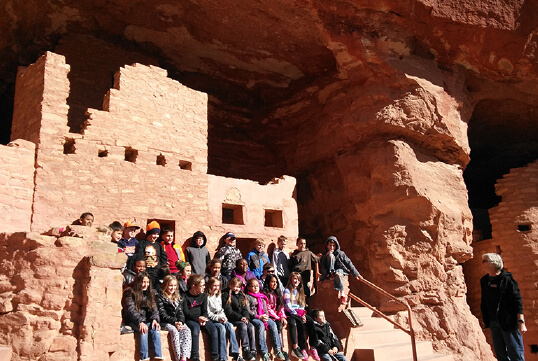 Here they will learn about Anasazi culture, including how they farmed, hunted and endured. 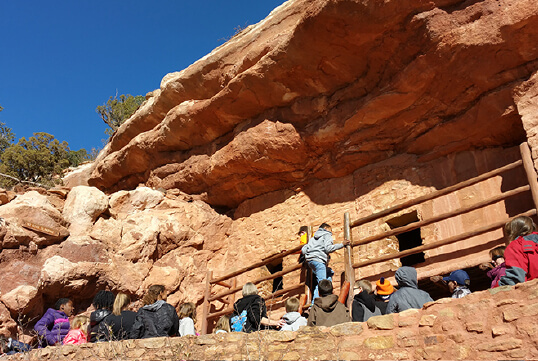 Informative movie on cliff dwellers, approx. 17 min. EDUCATIONAL STUDENTS AND TEACHER STUDY GUIDES ARE AVAILABLE, SEE LINK BELOW. We do fill up quickly, so please contact us as far in advance as possible for best available dates and times. Tours available September through May only. Due to traffic and volume we do not offer tours June, July or August. Special rates are available for Scouts groups, daycares, and summer camps.